a. Charging by friction: When two nutral bodies are rubbed against each other, due to friction one of them losses electrons and hence gets positively charged and the body that ains electrons gets negetively charged. Experiment: Take a small piece of uncharged plastic rod and cloth, rub against each other this will result both of them get charged. 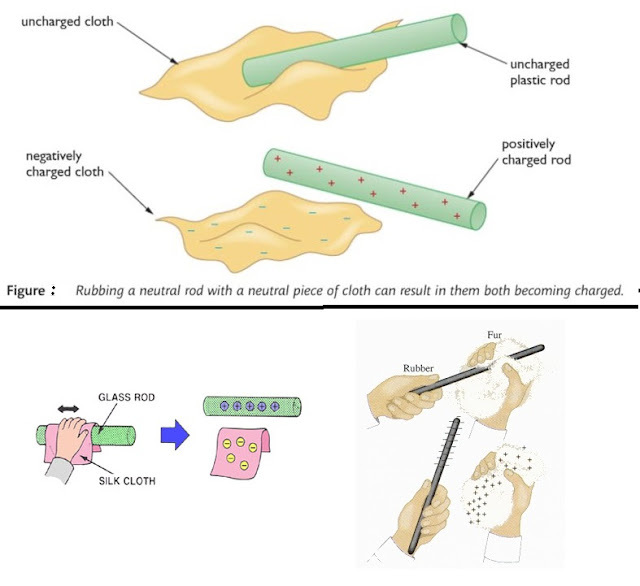 Same thing will happen between rubber rod and fur, Glass rod and silk cloth. b. 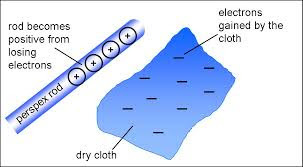 Charging by conduction: When a charged body is brought in direct contact with an uncharged body (or nutral body), it shares its charge with it. Thus the uncharged body becomes charged. 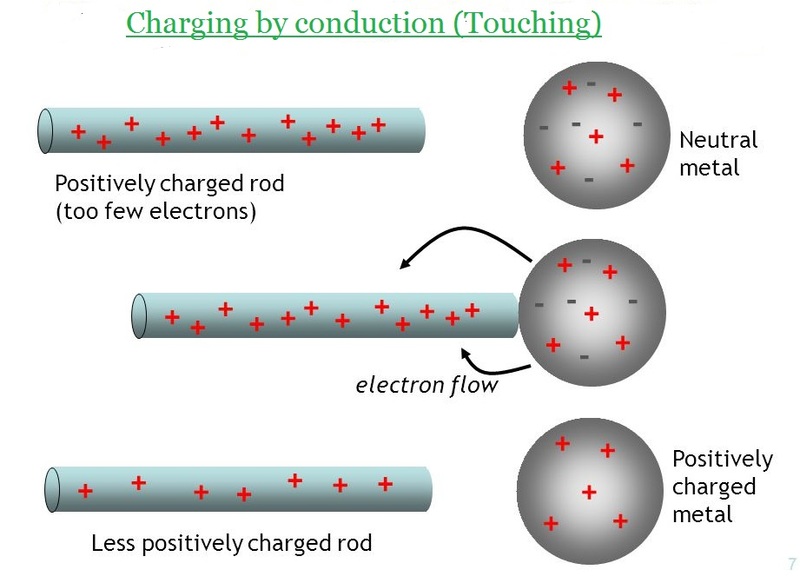 c. Charging by Induction: The process of temporary electrification of an initially neutral conductiong body (induced) by bringing a charged body (inducer) close to it without making any actual contact between the bodies is known as charging by induction. d. Electrification by heating: Certain bodies, when heated, is electrified by presenting contrary electricities names in two diametrically opposite points. The phenomenon is called pyroelectric phenomenon. It is more common in crystalls, such as Tourmaline. e. Electrification by pressure: Certain bodies, when compressed, is electrified, displaying electricities names against the ends. The phenomenon is called piezoelecttric phenomenon. 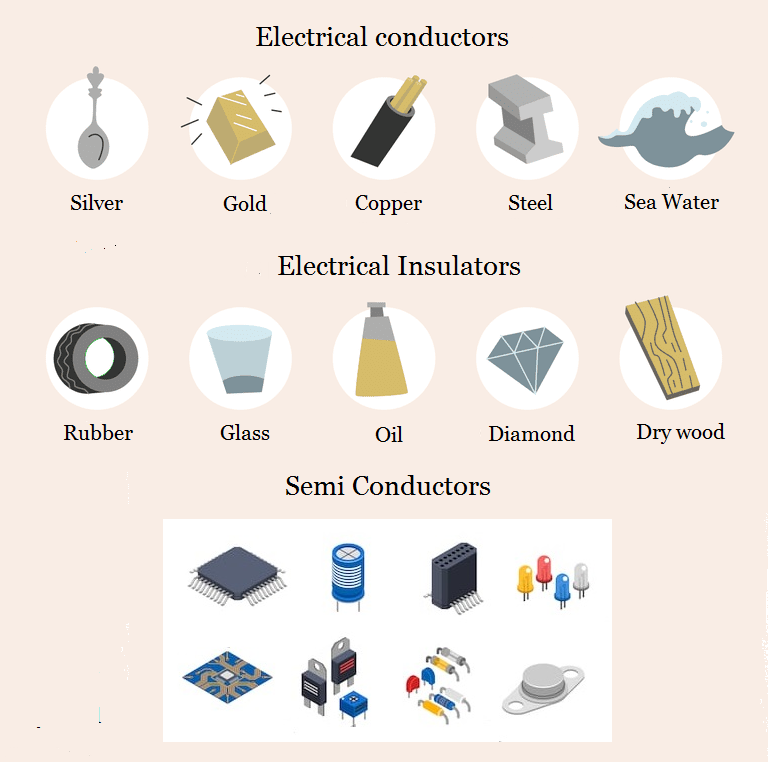 It is also ore common in crystals, such as Tourmaline, Calcite, and Quartz. 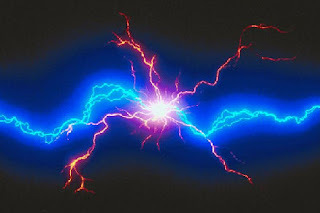 Electricity is the phenomenon of flow of electric charges. 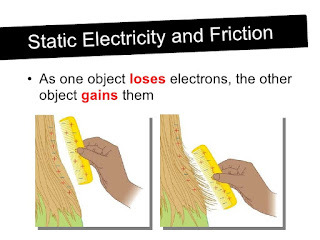 The study related to the charges, when they are at rest is called as "Static electricity". 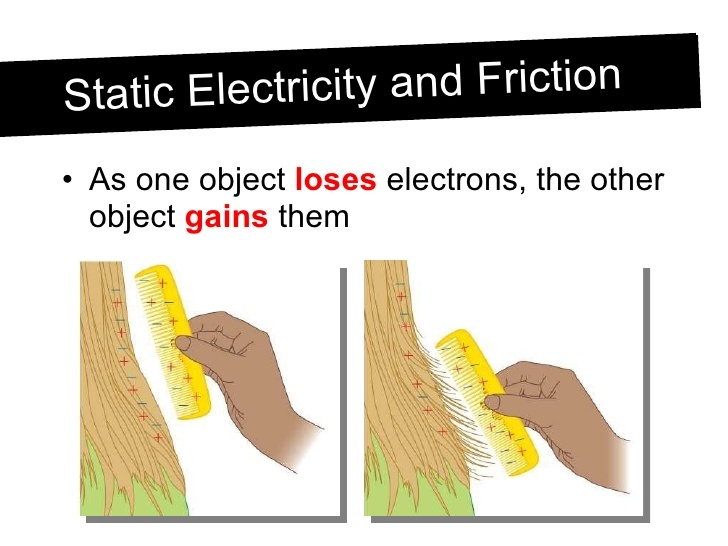 Static electricity generates through friction. Greeks found that amber when rubbed with fur attracts small objects. 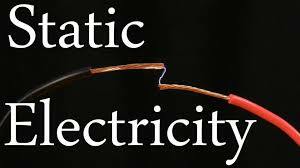 The substances which on rubbing acquire the nature to attract lite objects are called as charged or electrified. The charged bodies possess electric charges by virtue of which they interact with each other. 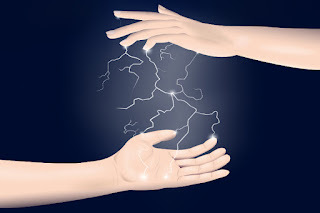 This force of interaction is called as "Electric force". 1) When we brush Dry hair with a plastic comb static electricity is produced. If we done it in a dark room we can also notice sparkles. 2) Similarly when we pass a comb through the dry hair, the hair will starts moving or stand. 3) We rub a plastic pen or a comb and placed near small pieces of paper they will get attracted. 4) Lightining is the best example of static electricity. Lighting causes due to the positive and negetive charges in the cloud. 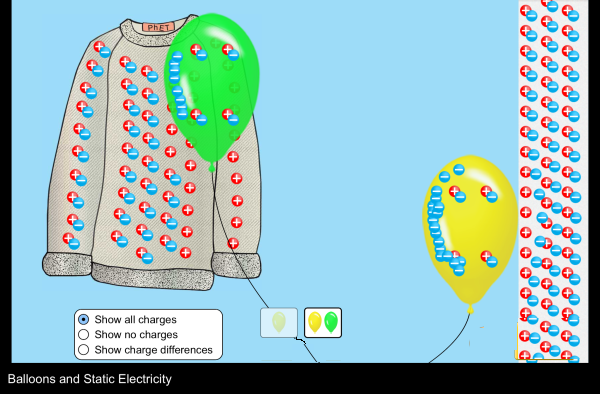 5) We even can bend a stream of water using static electricity. The spray nozzle is connected to a negetive electrode by this we can charge each droplet of paint. 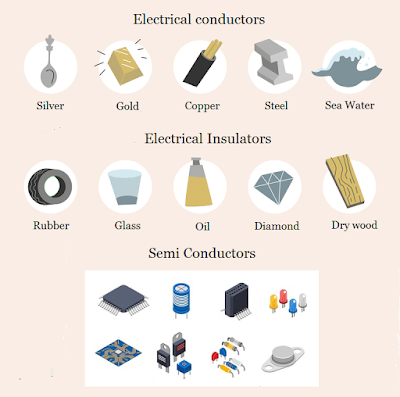 The car body parts is given a positive charge. When the paint is sprayed from a paint gun, the sprayed particles of paint will attracted by the car body parts. There are several more advantages by this method painting they are : (a) Paint goes to the charged body part not to the uncharged or nutral flor, (b) Paint only attracted by body parts so less wastage, (c) there is no need of skilled labour for painting (d) the paint will distibuteded evenly so job will look neater. 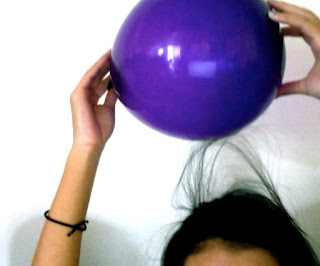 Static electricity is used in pollution control. Static charge is given to the dirt particles in the air and opposite charge is given to the collector. By this the dirt particles which are present in the air are attraced by the collector and pollution is controlled. These devices are called as "Electro static precepitators". Factories and thermal power plants use this kind of technique to reduce pollution coming from their smoke chimnies.